At BrightStar, we realize that babies, infants and children living with disabilities or special needs have unique care requirements. That's why we have trained care professionals who specialize in administering in-home pediatric care and can provide comprehensive case management and support for children with disabilities and special needs. 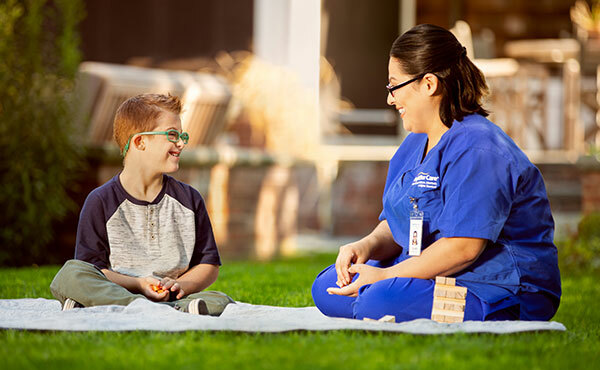 From autism, spina bifida and amyotrophic lateral sclerosis (ALS) to cerebral palsy, any spinal injury and more, our caregivers give them the care they need and the support they deserve. From complex medical equipment, to accessible transportation and skilled nursing, our advanced expertise in this area ensures each child's safety, all so you and your family can get the most out of life. Don't see what you need? Contact us. Let us know how we can help.